This space was born from a love of the game. Were you? 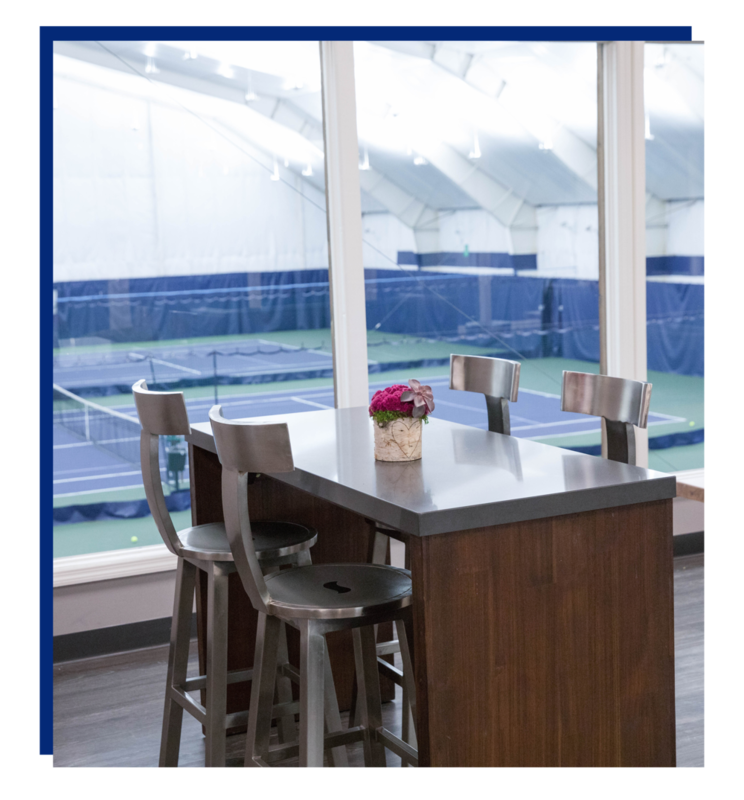 Our indoor courts are equipped with state-of-the-art indirect LED lights, PlaySight SmartCourt technology, PlexiPave court surfaces (for superior playability + cushioning for hardworking bodies) & oh-so-comfortable temperatures year-round. Perfect playing conditions, so you can stay focused on your game. Floor to ceiling windows create ideal viewing. Parents, friends and fans can watch the action from luxe sofas, access our WiFi and enjoy freshly ground-by-the-cup coffee. Clients are now steps away from world class care and performance training with Parabolic (located at the back of our lobby). Parabolic Performance & Rehabilitation is New Jersey’s leading training and physical therapy provider. Training is offered in group, semi-private and private sessions. Their Doctors of Physical Therapy evaluate and treat injuries and address movement dysfunction. Treatment at Parabolic will get you back in the game sooner than ever imagined. They’ll help reduce injury risk, obtain greater functional strength and help you reach your potential on and off the court. LOVE BOMB yourself and others.